One of the unexpected side effects of embracing my own personal needs and values rather than the needs and values of others has been that I buy way fewer books. I also find myself continually getting rid of books that once felt like lifelines. But, even though my bookshelf is thinning out quite rapidly, there are a few books that remain. Many of them with beat up covers, notes in the margins, highlighter marks galore, and underlines penned in ink. Since these books have stood the test of time for me, I wanted to share them with you. You’ll note that these books are books you “do.” In them, you will find experiments, a bit of digging deeper by way of questions, and suggestions on ways to implement the theory of them. These are my favorite kinds of books! For me, I have found that while a-ha moments are awesome, the most positive changes in my life come from taking action that is inspired by those moments of clarity. In conjunction with my work, I often recommend books and of all the books I have ever recommended, The Dark Side of the Light Chasers by Debbie Ford is the one I have recommended the most. I have read this book a number of times, it is full of notes and underlines, and I’ve even run books clubs with it. This book is, in my opinion, the most important when it comes to self-acceptance. It takes you through a number of processes to help you navigate and heal the parts of yourself that you most reject. We live under the impression that in order for something to be divine, it has to be perfect. We are mistaken. In fact, the exact opposite is true. To be divine is to be whole and to be whole is to be everything; the positive and the negative, the good and the bad, the holy man and the devil. Yes. Being whole is where it’s at. Non-Violent Communication by Marshall B. Rosenberg, Ph.D. is another one of those books that I’ve recommended numerous times. One of the key concepts I use in my work is Universal Needs. Understanding these needs has been quite intuitive for me, as I always seemed to “just know” that our actions were driven by these needs and I could “spot” the needs quite easily. This was the first book that helped me to attach verbal language to my intuitive knowing. When we express our needs indirectly through the use of evaluations, interpretations, and images, others are likely to hear criticism. And when people hear anything that sounds like criticism, they tend to invest their energy in self-defense or counterattack. If we wish for a compassion response from others, it is self-defeating to express our needs by interpreting or diagnosing their behavior. Instead, the more directly we can connect our feelings to our own needs, the easier it is for others to respond to us compassionately. As I mentioned, this book focuses on creating healthy streams of communication in relationships but the concepts are universal. 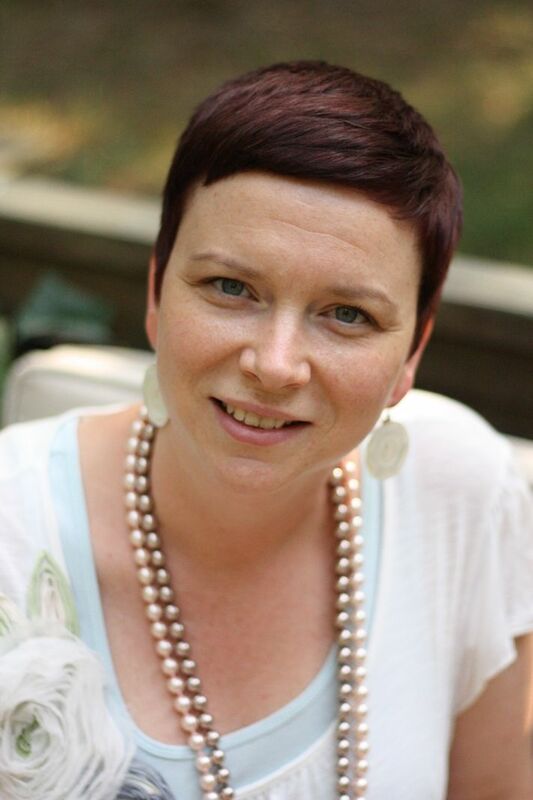 In case you didn’t know, I am a coach, trained in three different coaching modalities and a master energy healer trained in two different healing modalities. So, to say that I’ve been around the block when it comes to shifting habits and patterns would be an understatement. I’ve also been avidly devoted to my own personal growth for over a decade. Most of that work was focused on the mental aspects of growth, things like managing mindset, positive thinking, affirmations, and, what is often called “thought work” in the coaching community. But, a few years ago, had a personal trauma that changed everything for me. It was a level of pain that I could not simply think my way out of. And, I was devastated to learn this, for both personal and professional reasons. But, in that time, I discovered the work of Dr. Russ Harris and, OMG, what a difference. I won’t give away how it is different from mainstream growth, but, what I will say is that if things aren’t resonating for you or working for you long term, you must read this book. The more we try to avoid the basic reality that all human life involves pain, the more we are likely to struggle with that pain when it arises, thereby creating even more suffering. If you want to be empowered to work with your thoughts and feelings in a new way, this book is a must. Around these parts, we talk a lot about feeling your feelings and learning how to work with our emotions, instead of against them. Our emotions are simply messengers and when we allow ourselves to fully feel them, we gain access to those messages and the healing those messages offer. The book The Language of Emotions by Karla McLaren taught me about the primary messages each of our emotions hold; such as anger being a signal that our boundaries have been crossed or threatened. This was life changing information for me because anger has been one of the emotions that I resisted and internalized for most of my life. It also helped me to begin the quite scary process of learning to trust my emotions. With the help of our emotions, you can become self-aware and immensely resourceful in your relationships. If you can learn to focus and work honorably with the incredible information inside each of your feeling states, you can become intimately connected to the source of your intelligence, you can hear the deepest parts of yourself, and you can heal your most profound wounds. If you can learn to see your emotions as tools of your deepest awareness, you’ll be able to move forward as a whole and functional person. No truer words, my friends. No truer words. As you read each of these books, I really encourage you to bring along a journal so that you can do the exercises in them. You may want to try “doing” one chapter a day (or week) and see how that unfolds for you. Also, as always, be gentle with yourself here. This is deep work and approaching it with kindness is the way to go! Enjoy these recommendations? You will also like this post on the best books on self acceptance. 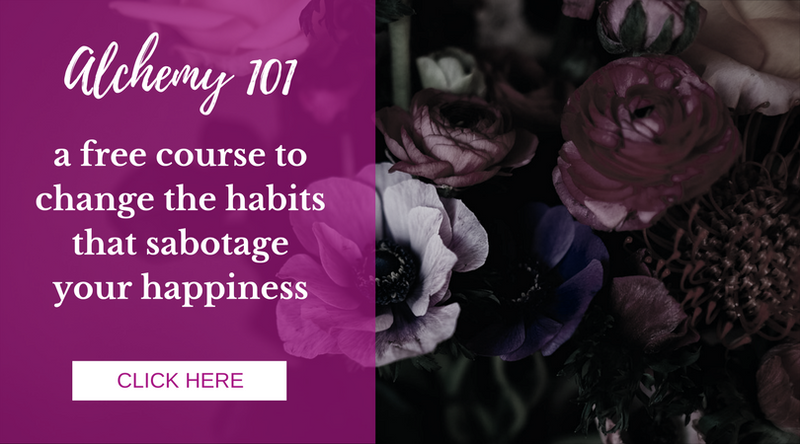 Ready to change the habits that sabotage your happiness? I'll show you how in my free email course, Alchemy 101. Enter your email below and I'll send you the first email instantly.